I knew Hubert Bunce as the secretary of the Forest History Association of BC. Hubert first approached me about a year and a half ago, seeking help in donating some of his professional papers to an archive. The material that he described represented many years of service on a national committee that oversaw the standardization of Metrification in the forest industry. What might have been a dry topic to most revealed many interesting philosophical questions to Hubert. The only time that the committee was unable to come to an agreement on an issue was on the problem of where the ground was, for the purposes of measurement. A trivial question in most locales became a matter of much debate on the steep slopes of British Columbia. A contextual link, courtesy of the BC Forest Service Centenary Society: Metric Scaling (1978). An historical look at the conversion to the metric system of log scaling. Given the national scope of Hubert’s metrification documents, at that time we agreed that Library and Archives Canada might be an appropriate home for the agendas, meeting minutes, reports and correspondence. Unfortunately we had that conversation at a time when LAC had in place a moratorium on donations of new material. That is where things remained when Hubert died in the late autumn. So, I consider this facilitation to be the repayment of an obligation. I am glad to now report that UBC Rare Books and Special Collections has accepted the donation of the much wider Hubert Bunce fonds in its entirety. The collection, approximately nine boxes, will be described over the summer and autumn, and should be ready for consultation by researchers towards the new year. Hubert was born in London, England in 1932 and he immigrated to Canada in 1955 to practice forestry. He subsequently took a Masters of Forestry at UBC (1960) and completed his doctorate at Syracuse University (1967). Hubert was a Registered Professional Forester (BC), Fellow of the Institute of Chartered Foresters (GB), and a Life Member of the Commonwealth Forestry Association (GB). Hubert worked for CanFor and Columbia Cellulose in the late 50s and 60s. 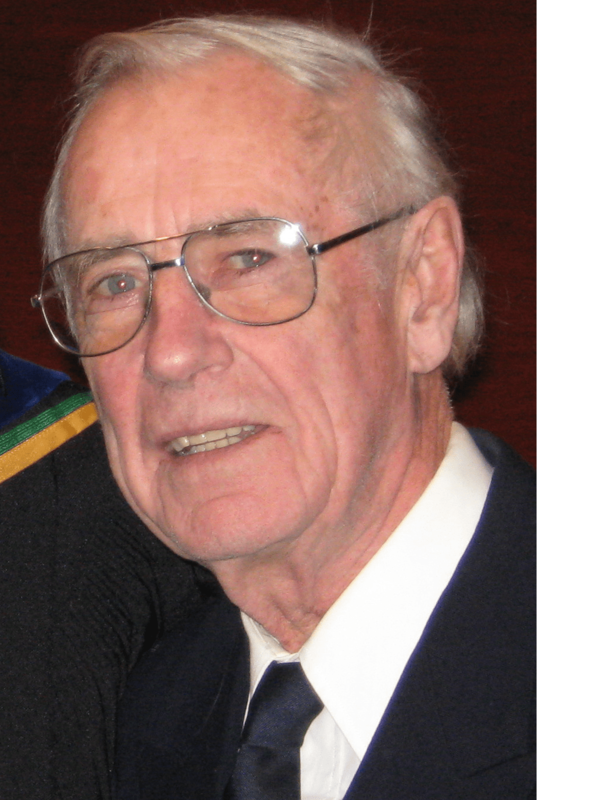 He started working with Reid Collins & Associates from 1972 consulting to the forest industry in BC and worldwide (Brazil, China, Pakistan, Indonesia) until his retirement in the late 1990s. Of special note in this collection is the sustained research that Hubert undertook regarding air pollution and forest health. He was contracted over many years to determine the effect of the Kitimat aluminium smelter on the surrounding forest. Alcan, owner of the smelter, was keen to isolate the effect of their operations from periodic insect infestations and that of a nearby pulp mill. Hubert built a large library of associated books, those not already held by UBC will be transferred to the library. Hubert was an active member of several national forestry committees: the aforementioned Assessing & Standardising Metrification; Forest Inventory; and Forest Terminology & Usage. In semi-retirement he continued his forestry interests as part owner of the Blue Mountain Woodlot, the Forest History Association of BC, and the Canadian Forest Inventory Committee. Hubert kept very organized files of his professional activities, and there is much here to inform future researchers. Several individuals collaborated to help facilitate this donation, including Hubert Bunce Jr, Stan Chester, Sarah Romkey, and Katie Ferrante. The Canadian Forest History Preservation Project is supported by NiCHE, The Canadian Forest Service, and the Forest History Association of British Columbia.